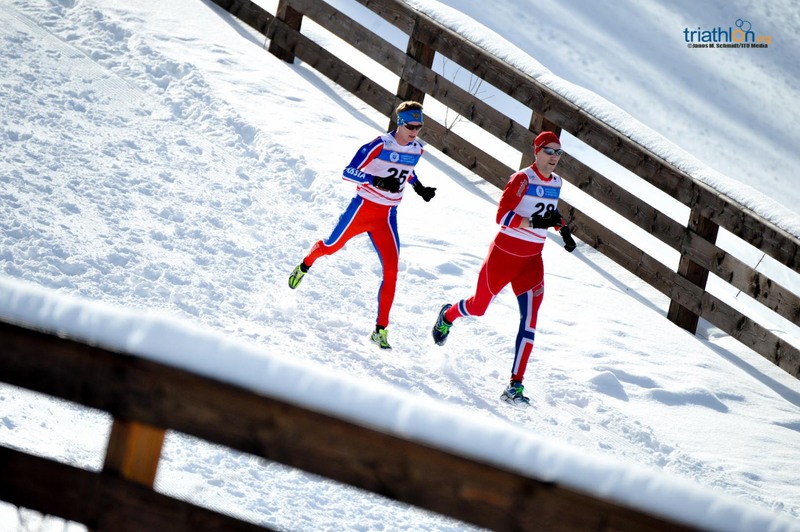 A standout dominance from beginning to end gave Russian Yulia Surikova her second Winter Triathlon World Championship, while her compatriot Pavel Andreev earned his sixth World title of his career in the 2018 ITU Cheile Gradistei. 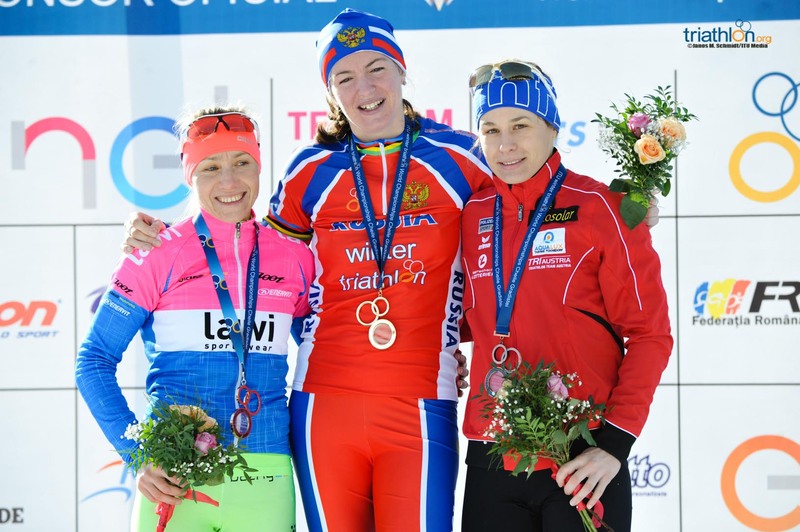 Along with Surikova were on the podium Helena Erbenova (CZE) and Romana Slavinec (AUT), while behind Andreev finished Pavel Yakimov (RUS) and Marek Rauchfuss (CZE). 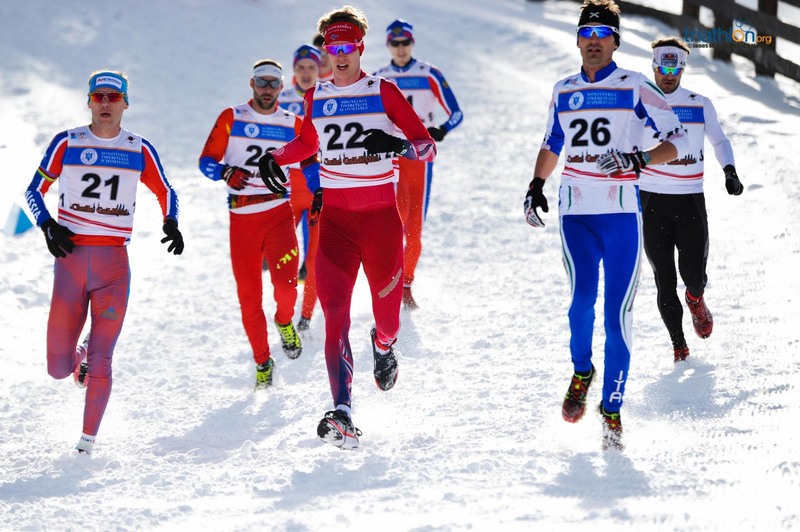 The races started in a stunning morning in the resort of Cheile Gradistei, with the course showcasing amazing panoramic views of the Piatra Craiului and Bucegi mountains in the historic region of Transylvania. 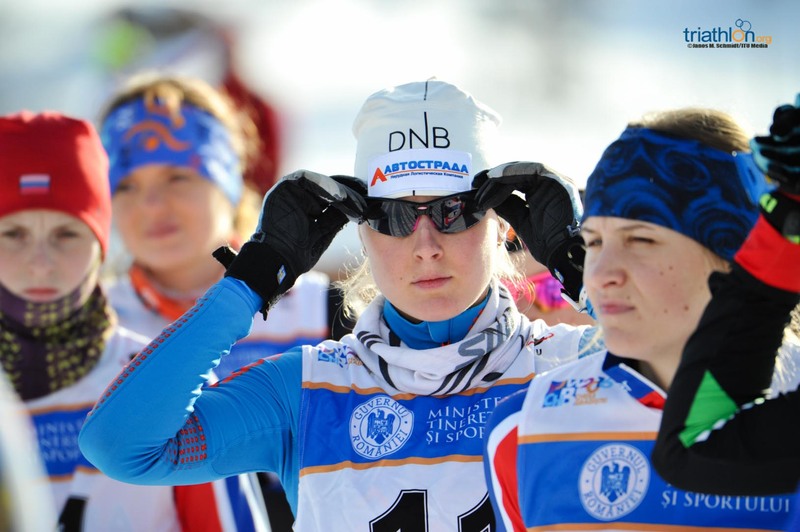 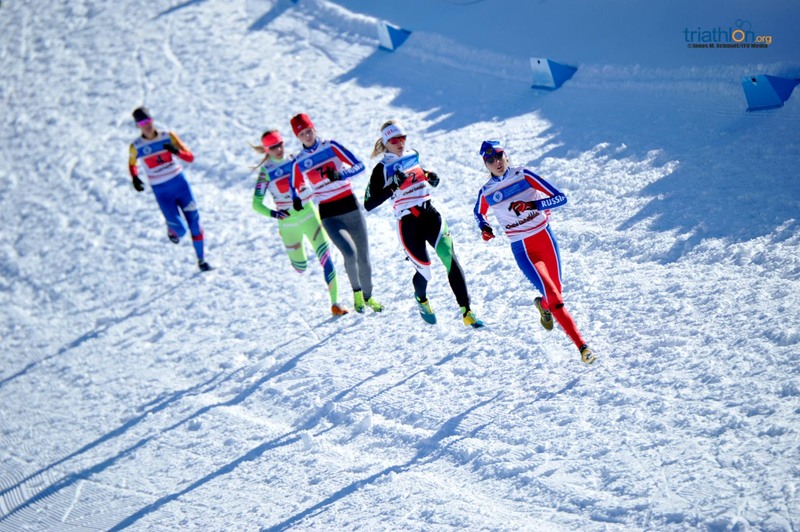 With an air temperature of -5.1 degrees and the snow in perfect conditions, 13 women were in the start line to fight for the World Title, six of them in the U23 category. 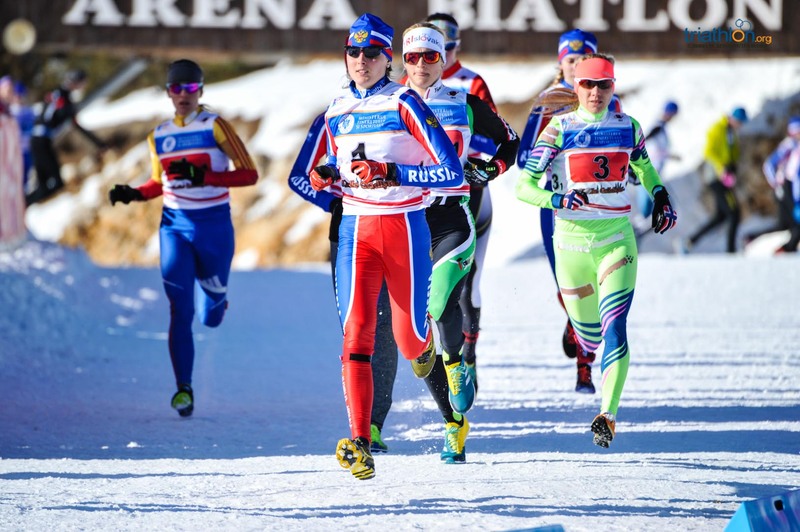 The race started with the favourite women running in a close group of five, and among them one of the strongest athletes in the field, U23 triathlete from Russia Daria Rogozina, cross triathlon and cross duathlon European champion. 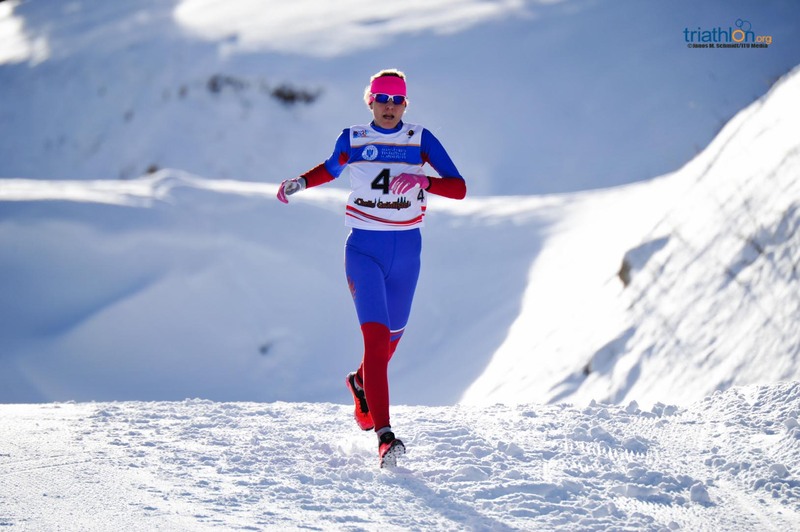 Halfway through the run course, Surikova started to break away, managing to keep a bit of a distance with her stronger rivals, Erbenova and Slavinec, and managed to build a difference of 30 seconds in T1. 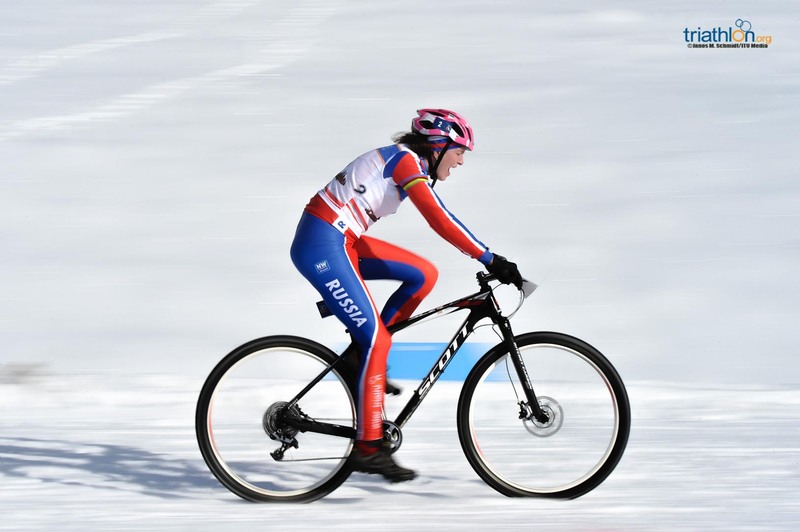 Rogozina, who kept herself in second place and looked really strong, had some mechanical problems in the first lap of the bike, which pushed her back and allowed Erbenova to show that she is one of the strongest riders of the world… but not enough today. 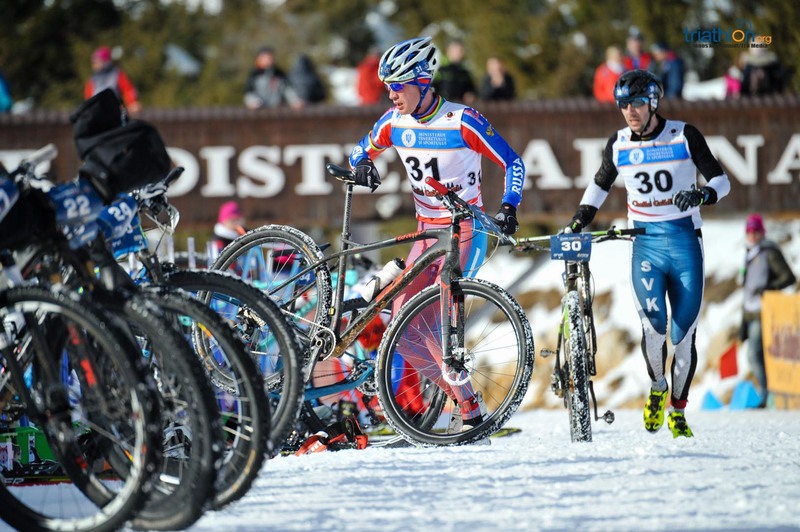 Surikov’s gap was bigger and bigger with each of the five laps, and when she arrived in the second transition, she had more than a minute over Erbenova. 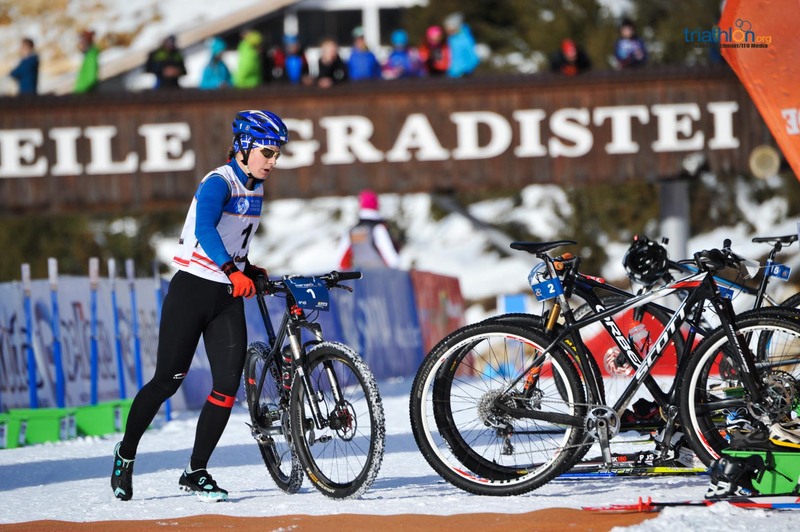 It was enough to grant her the victory, even though she had to serve a 15 second penalty for leaving the running shoes outside the box in transition. 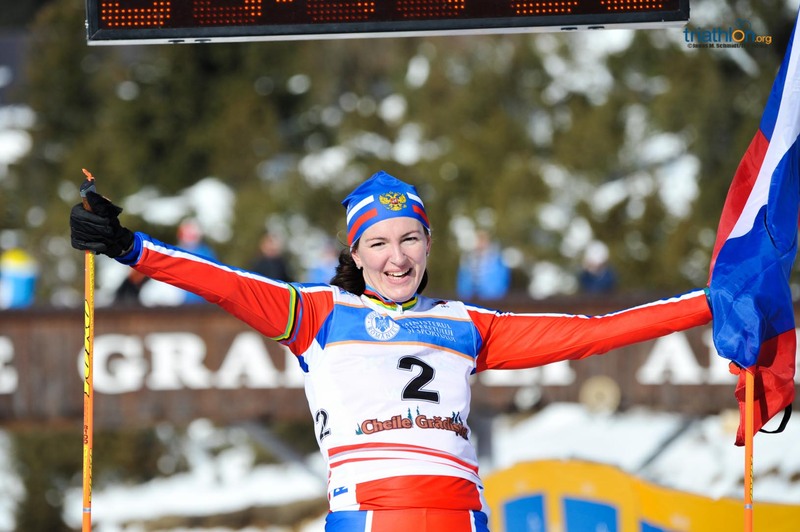 Smiling, she crossed the finish line by herself, stopping the clock on 01h47’51’’, with Erbenova 1’29’’ behind. 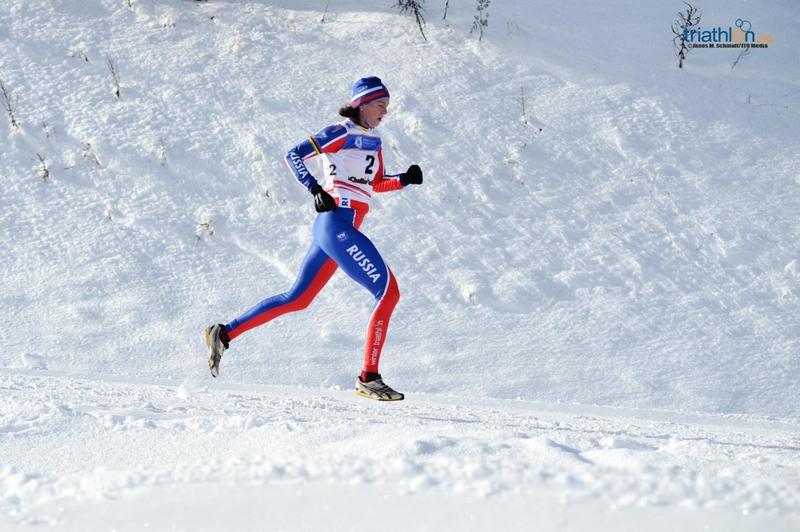 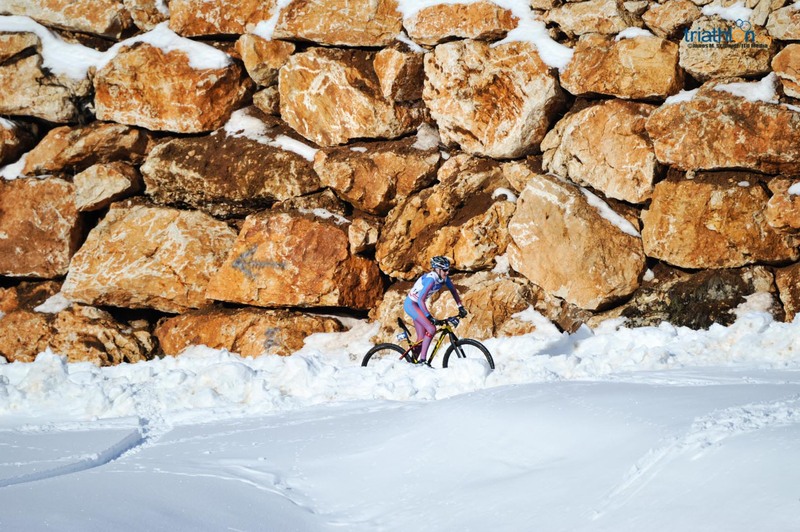 She adds to her tally another podium in Winter Triathlon Worlds, after winning the title in 2012 and 2013 and her victory in the Inter Triathlon European Championships in 2017. 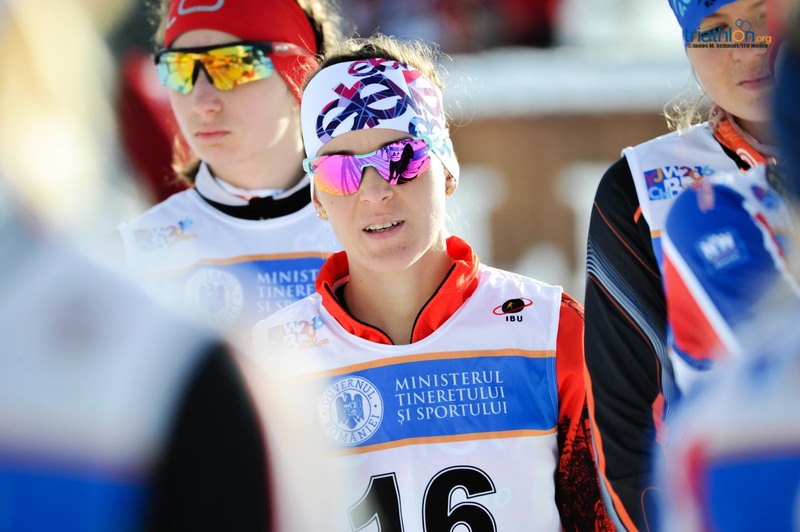 Bronze medal was for Romana Slavinec, who kept the same place she earned in the last World Championships in 2016. 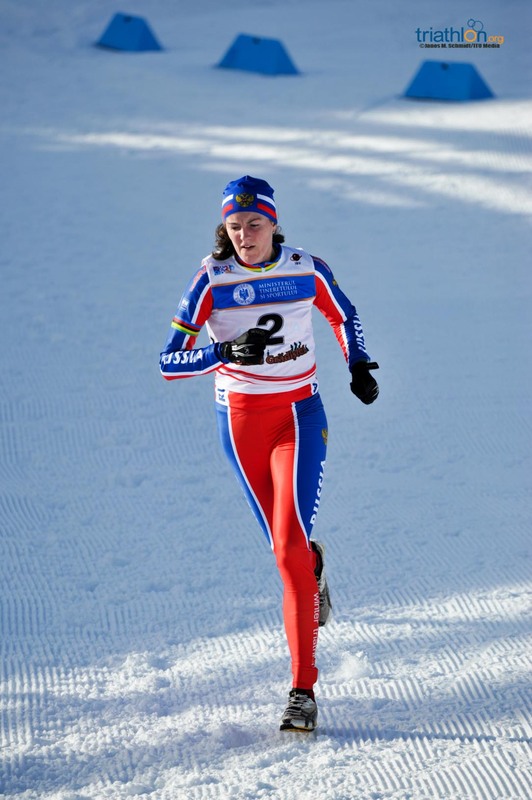 “The race was fantastic”, said Surikova after the race. 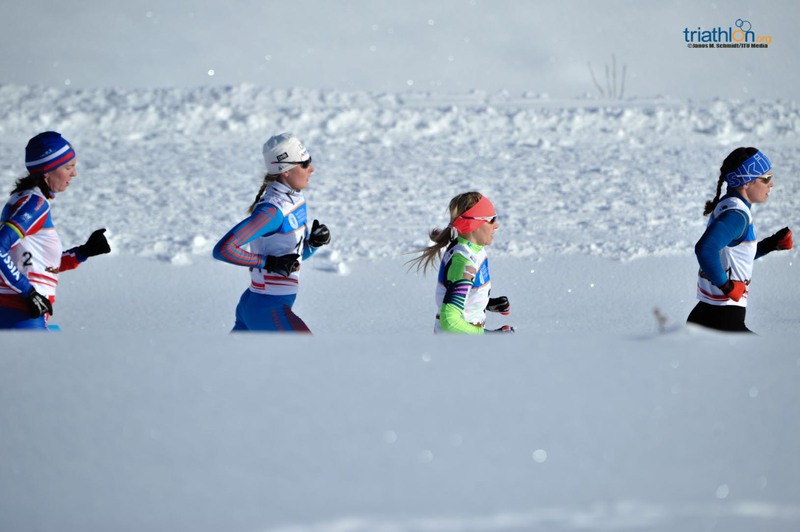 “I can’t believe it, because there were some very strong girls with me. 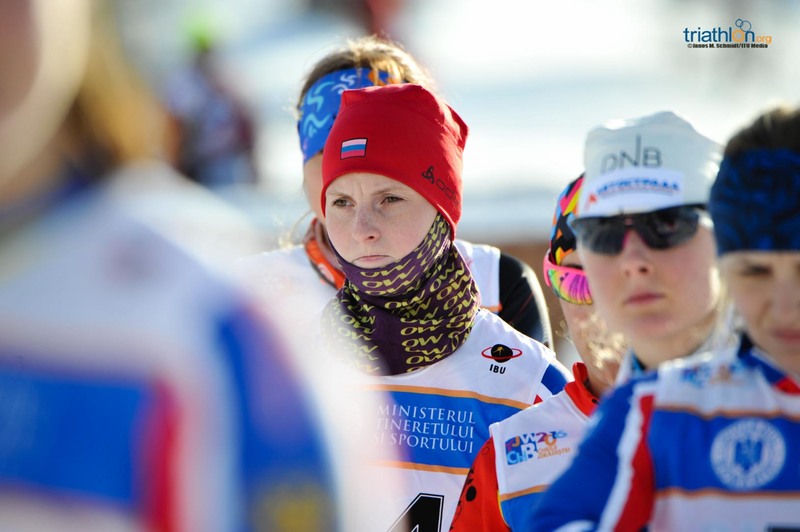 This girl (Erbenova) is a legend, and it’s really a surprise for me to be able to win here. 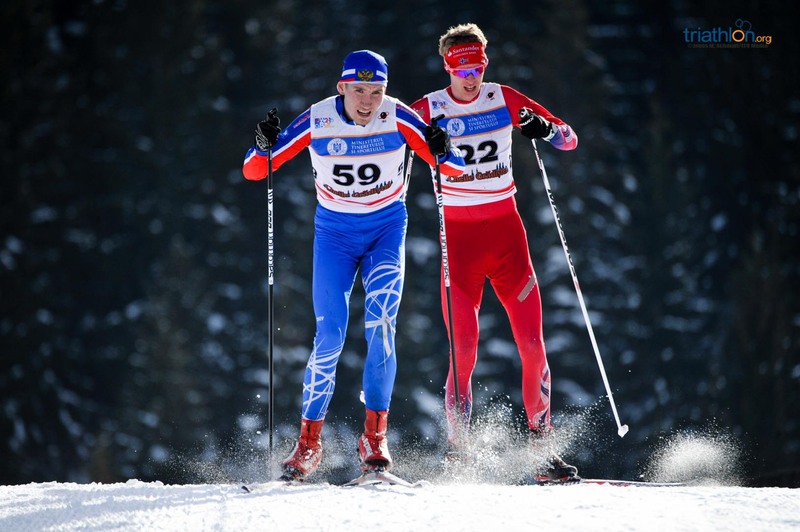 I think I won because I am not really very strong on any of the three legs, but I am very well balanced, and it was enough to win here. 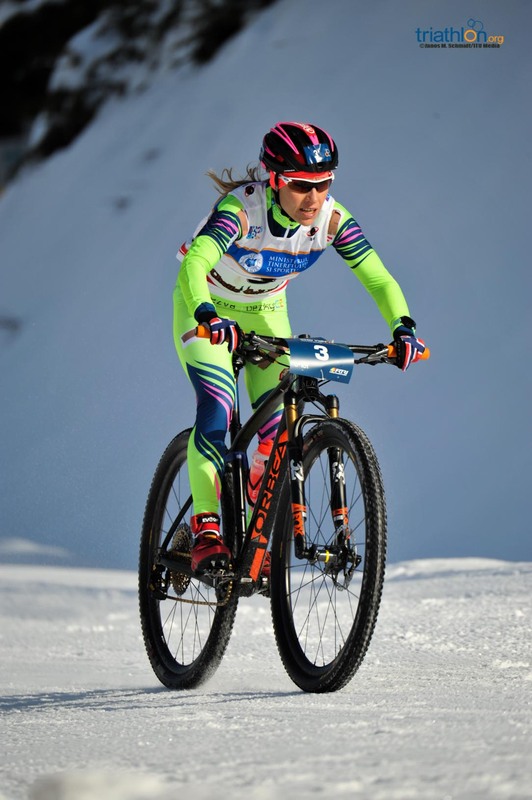 I was worried during the time penalty I had to serve, because I knew Helena was close, but I pushed really hard to break away and it was a good strategy”, she said. 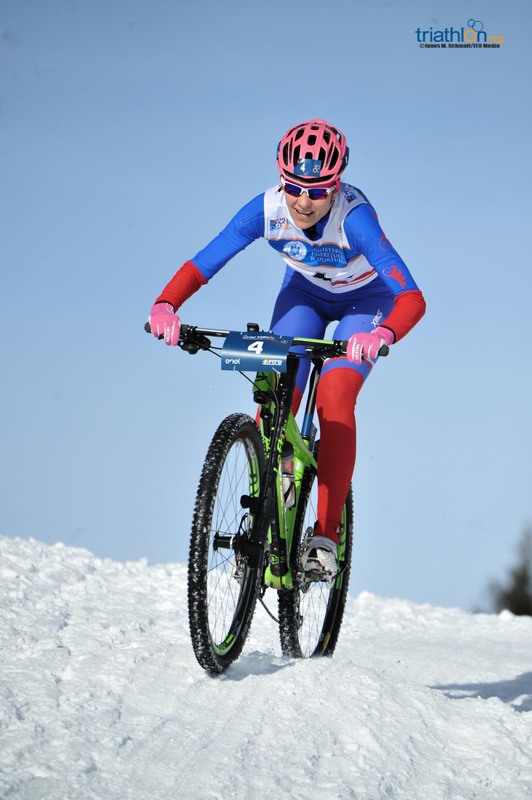 The winner in the U23 category was Nadezhda Belkina (RUS), followed by Daria Rogozina, who managed to keep the second place after her mechanical problems, and in third place was Edith Vakaria (ROM), who suffered a bike crash in the second lap but was able to make it to the finish line. 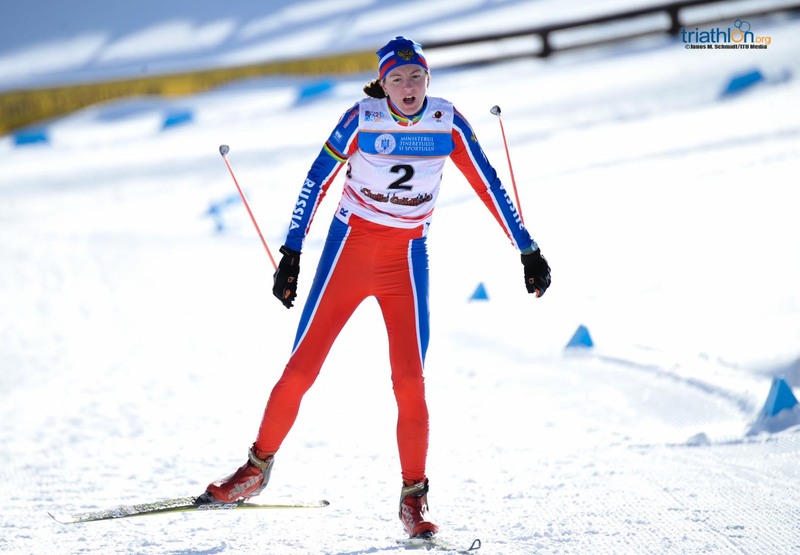 In the Junior race, first place was for another Russian, Alexandra Levkovic, while her compatriot Polina Tarakanova finished in second place. 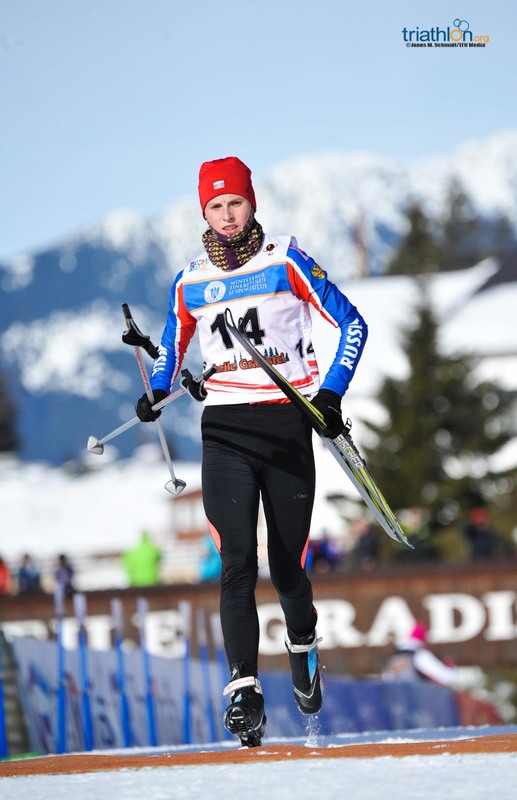 The bronze medal was for the young Slovakian Rebeka Gabcikova. 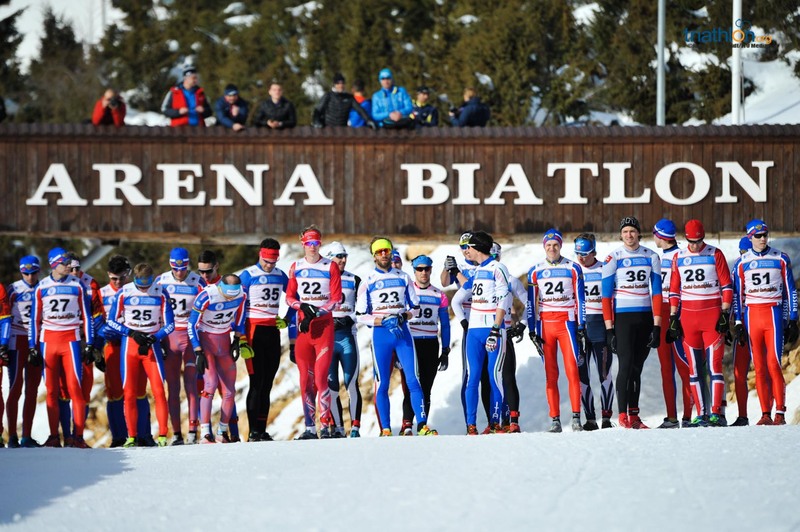 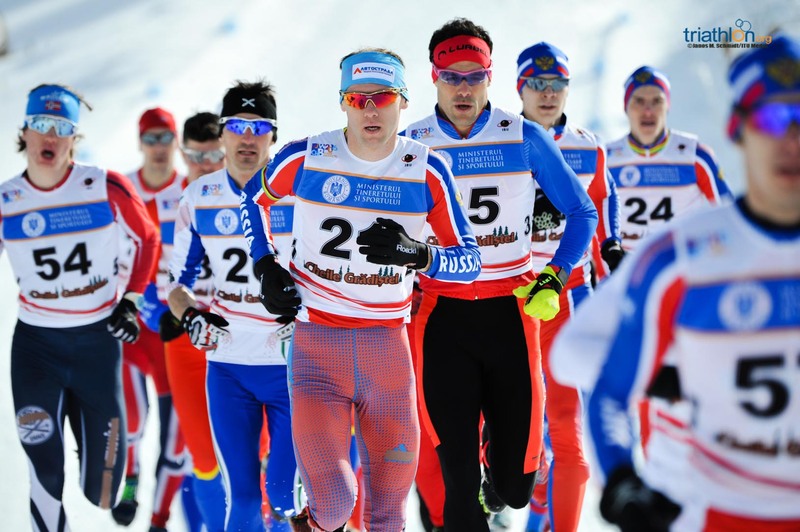 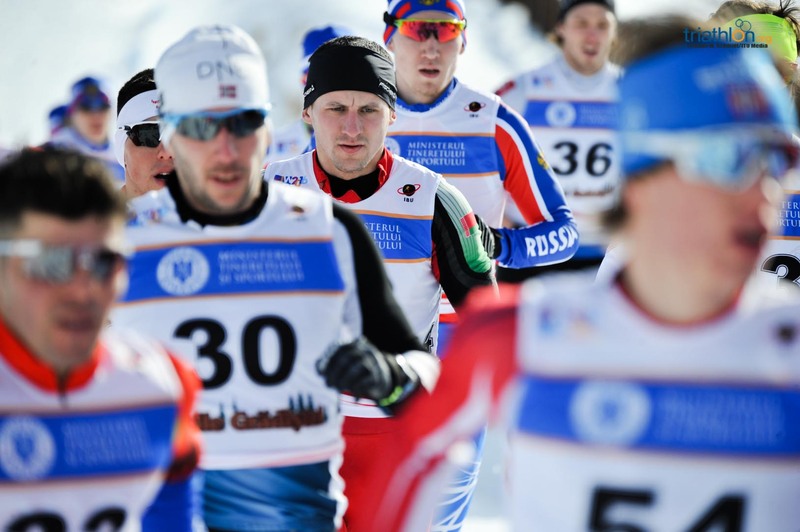 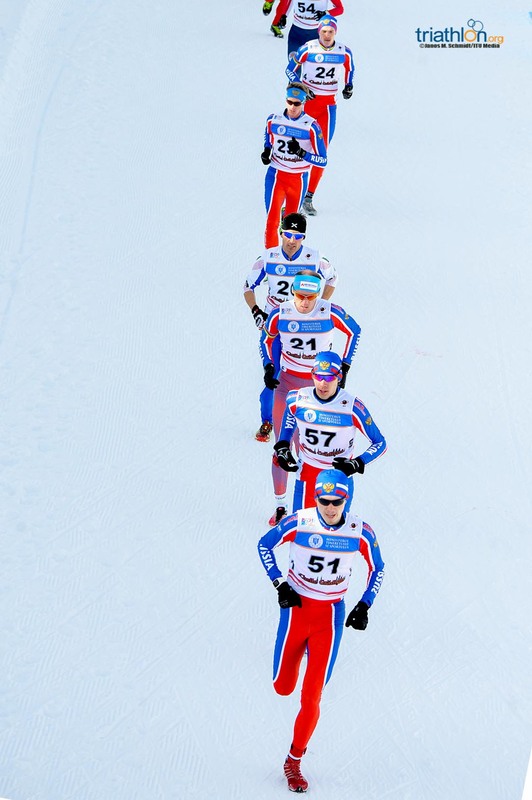 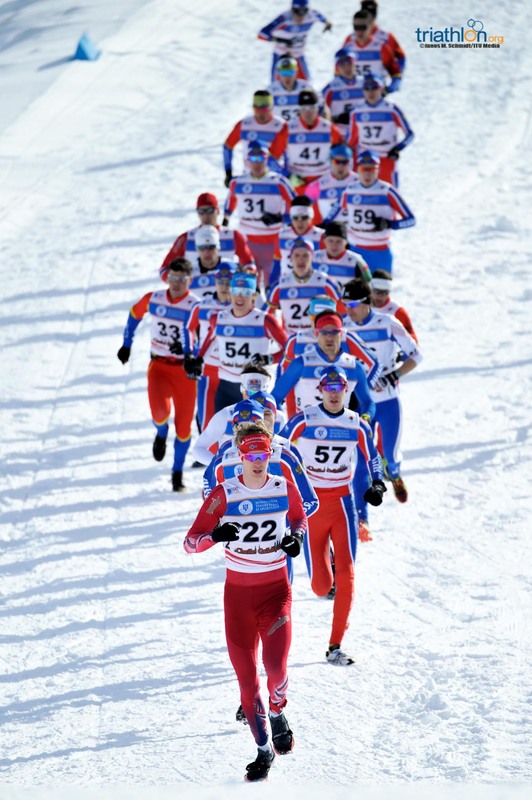 A total of 32 men lined up in the start for the 2018 ITU Winter Triathlon World Championships in Cheile Gradistei, with winter triathlon superstar, Russian Pavel Andreev, wearing bib number 1 and aiming for his sixth consecutive world title. 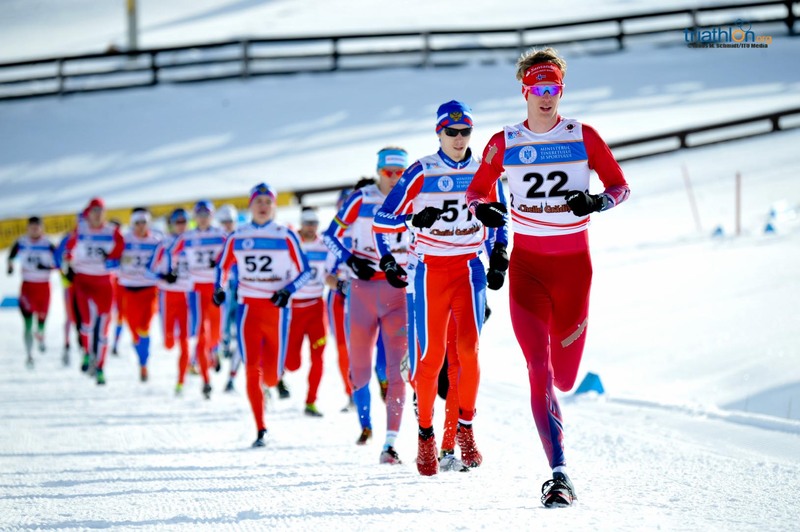 And knowing he was the one to beat, he started the race conservative, staying in the lead group bet leaving some of the other athletes, like Oivind Bjerkseth (NOR), Marek Rauchfuss (CZE), Kirill Tarakanov (RUS), Cristian Mosoia (ROM), Violel Parici (ROM) and Pavel Yakimov (RUS) to push hard in the first kilometers of the run. 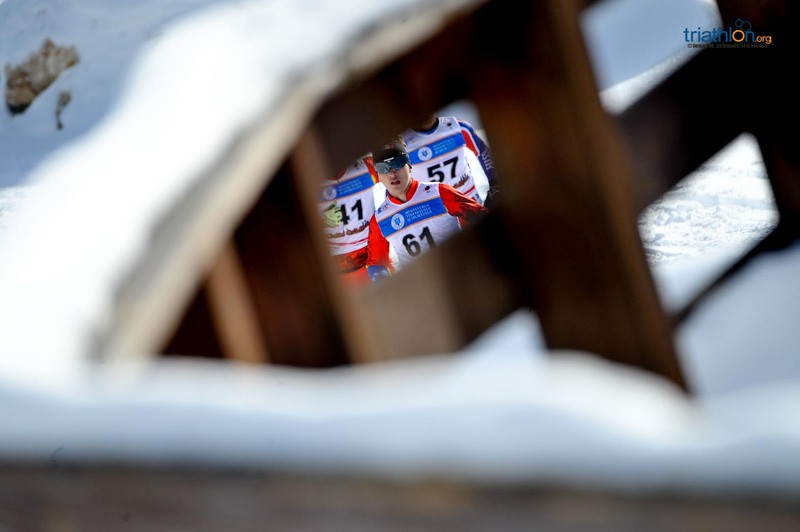 By the end of the 7.5km run, in a hard course with plenty of up and downs, a small group of five athletes managed to build a lead of more than a minute, with Andreev now always controlling the situation and keeping an eye on the rivals. 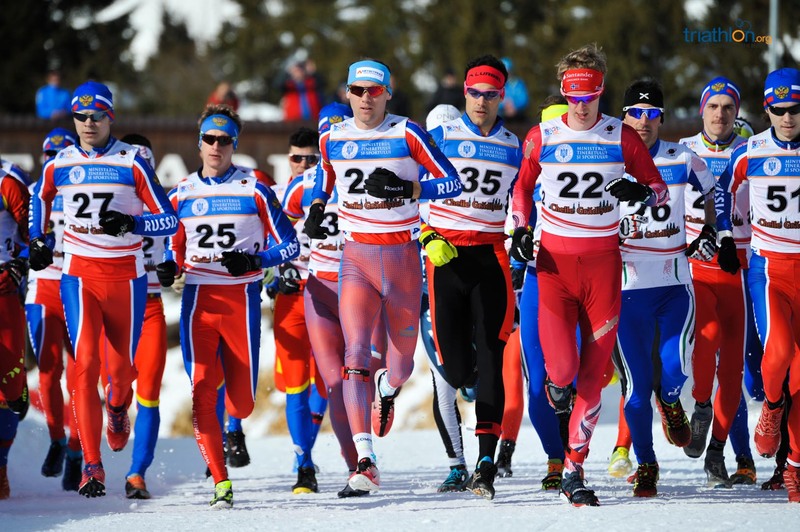 With him, Rauchfuss, Dmitry Bregeda and Bjerkseth, followed close by the Italians Guiseppe Lamastra and Daniel Antonioli. 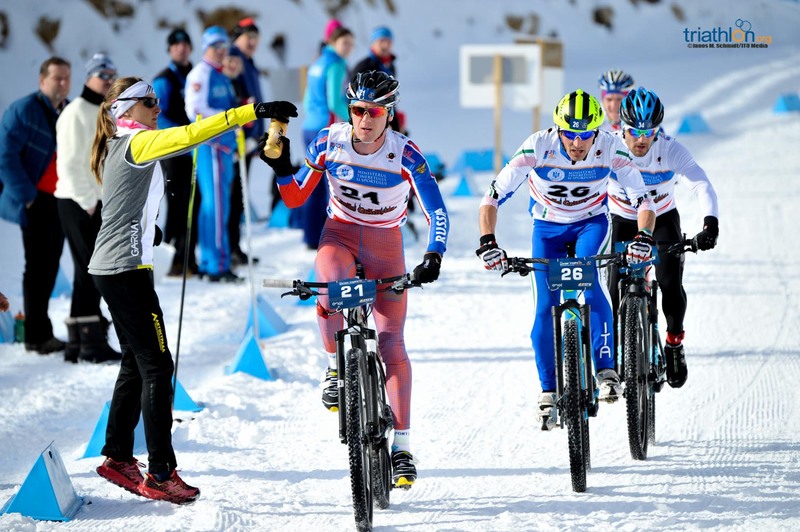 All of them managed to stay close during the 14km of the bike, but when it came to the ski course, Andreev showed that no one can beat him in the last segment. 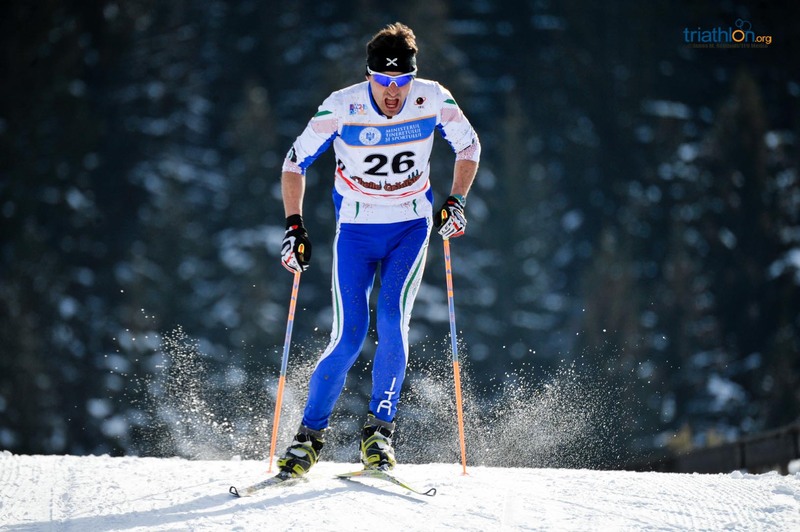 And going solo, he did the 10km last leg to cross the break the tape first, taking 1h33’37’’ to get his sixth World Title. 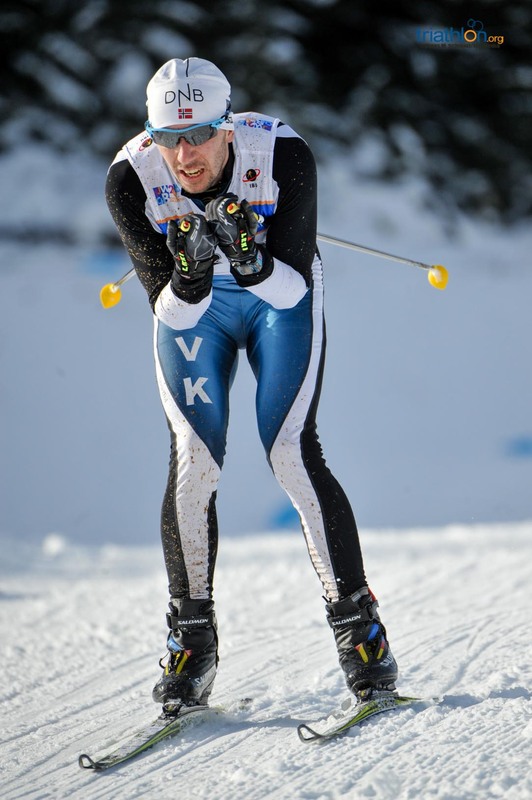 The battle for the silver medal was fierce, with the Czech Rauchfuss keeping that place for most of the race, but knowing that he had to serve a 15 seconds penalty for leaving the shoes outside the box in the first transition. 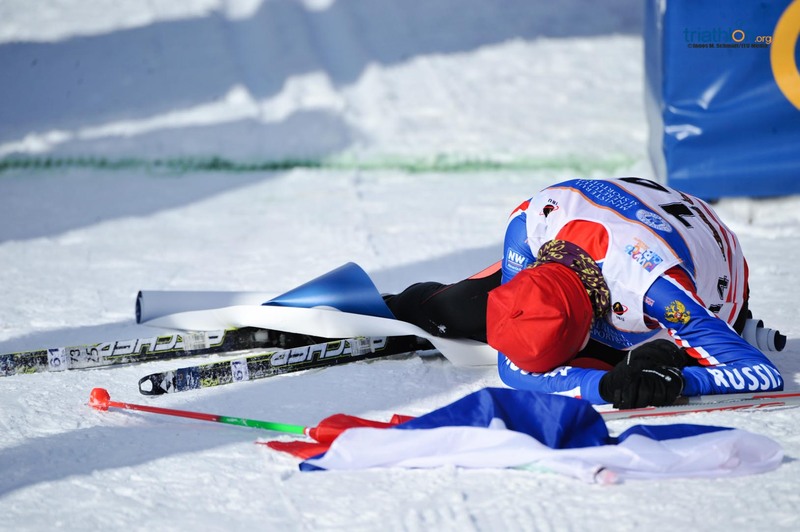 He decided to serve the penalty in the last lap of the ski, and during those endless 15 seconds he was passed by another Russian, Pavel Yakimov, who managed to finish in the second place at the end, while Rauchfuss claimed bronze. 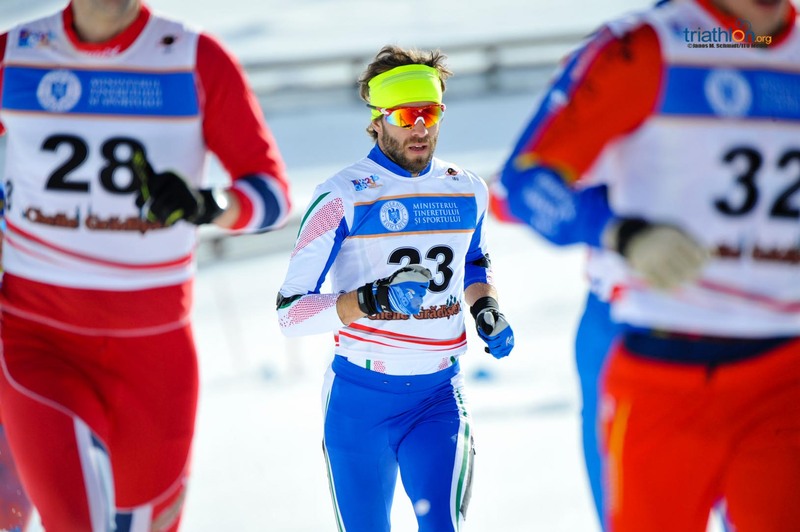 After him, a sprint finish between the two Italians gave Daniel Antonioli the fourth place, while Lamastra finished in 5th. 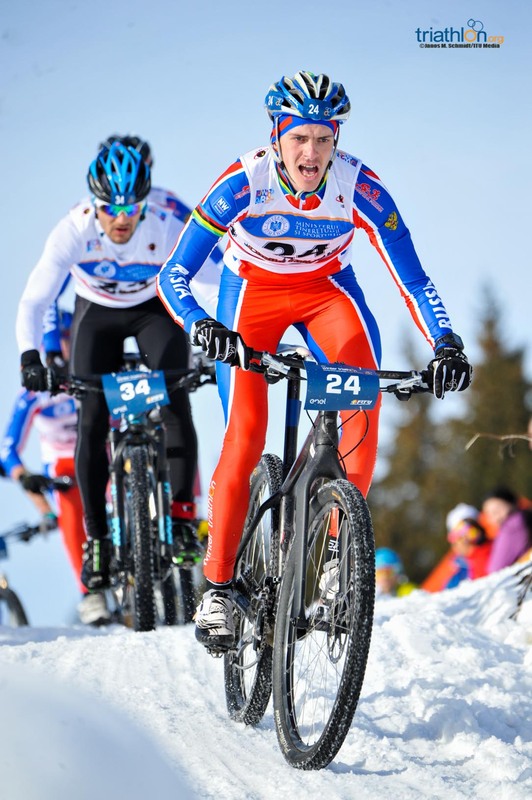 “I am so happy I can not believe it”, said Andreev after the race. 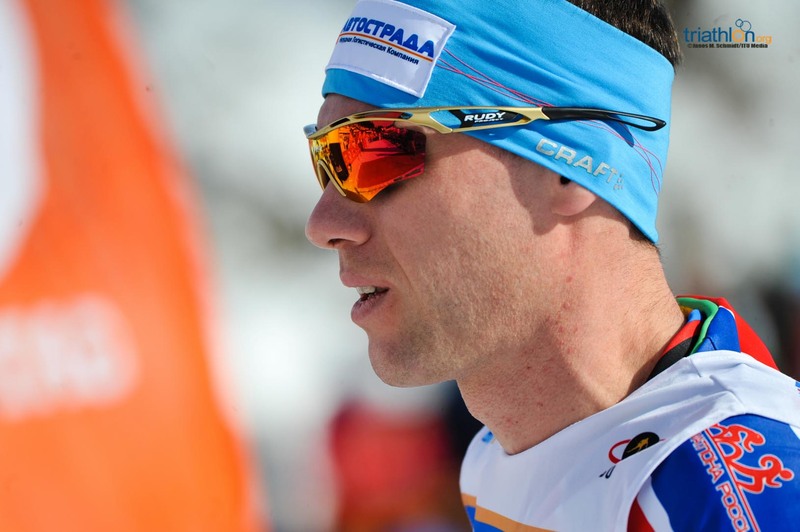 “It was a very tough race. 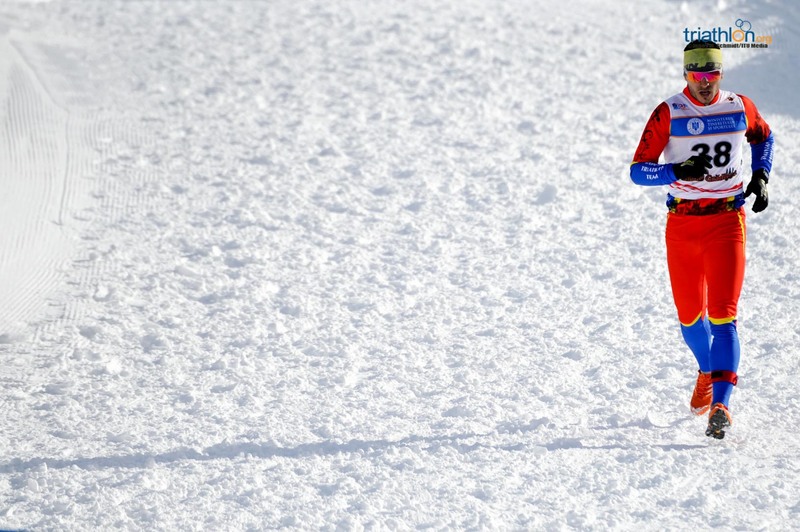 The run was really hard, and I didn’t feel really good, so I just managed to keep there with the rest. 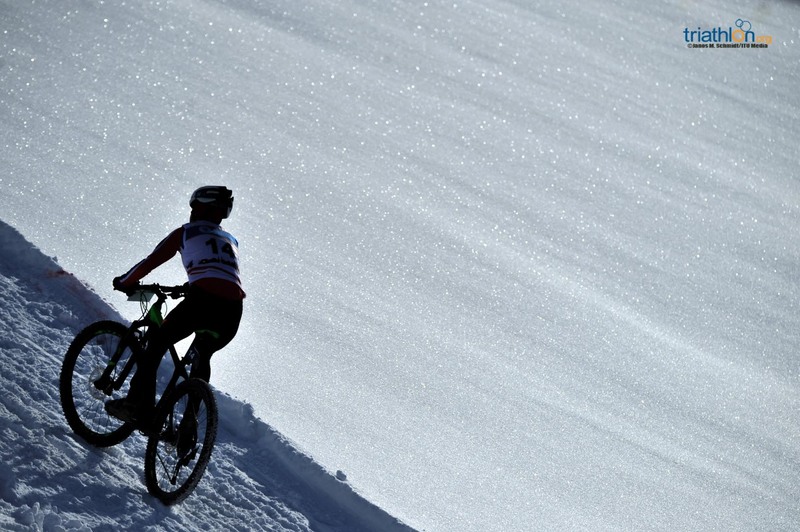 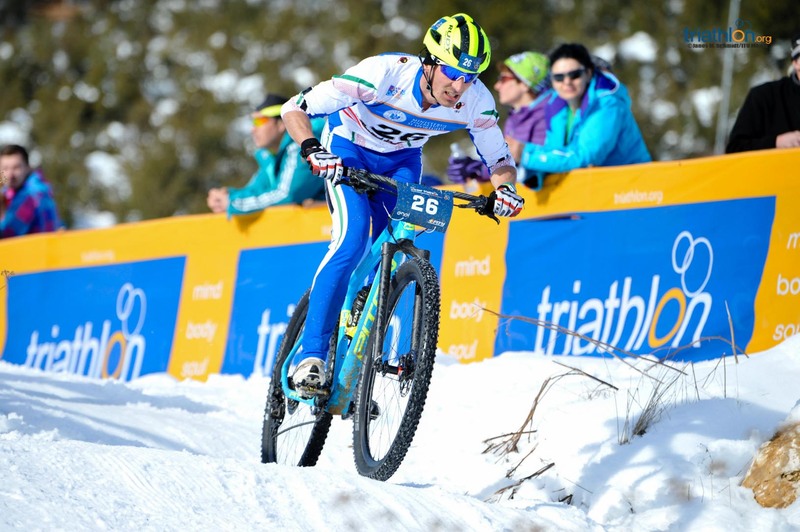 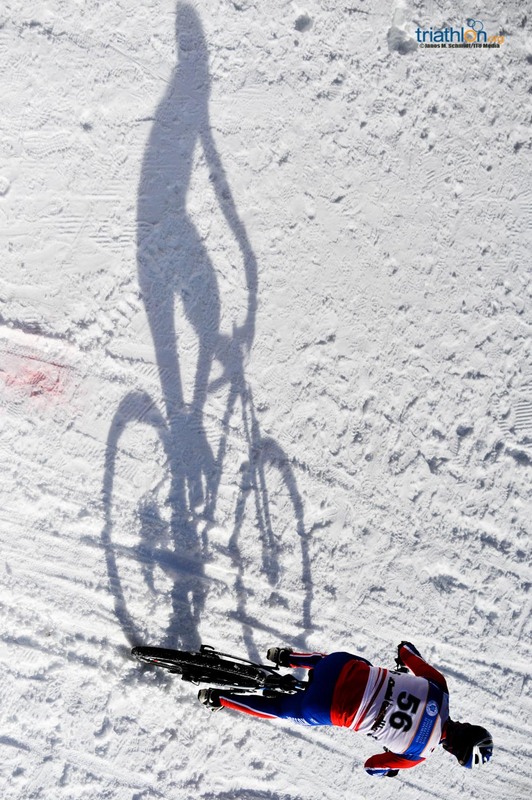 But then I started feeling better on the bike course, and the ski I enjoyed it a lot, it was just perfect”. 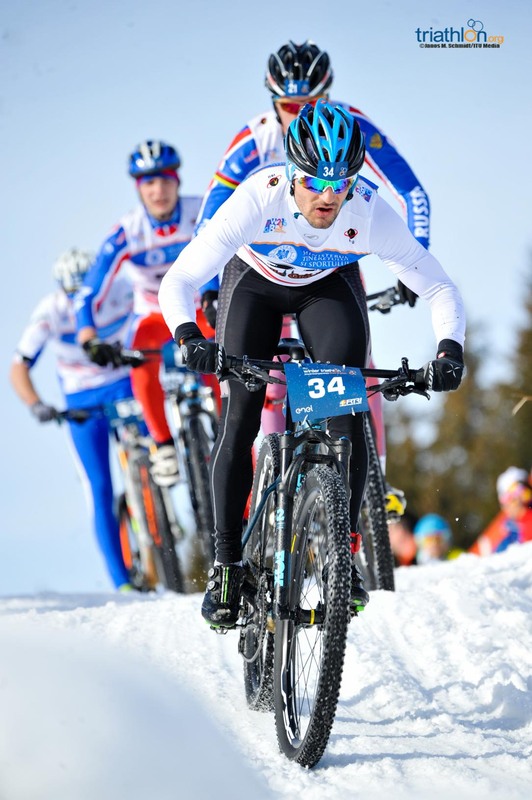 In the U23 category, victory was for the Norwegian Erik Bruland, followed by Aleksandr Vasilev (RUS) and Kirill Tarakanov (RUS). 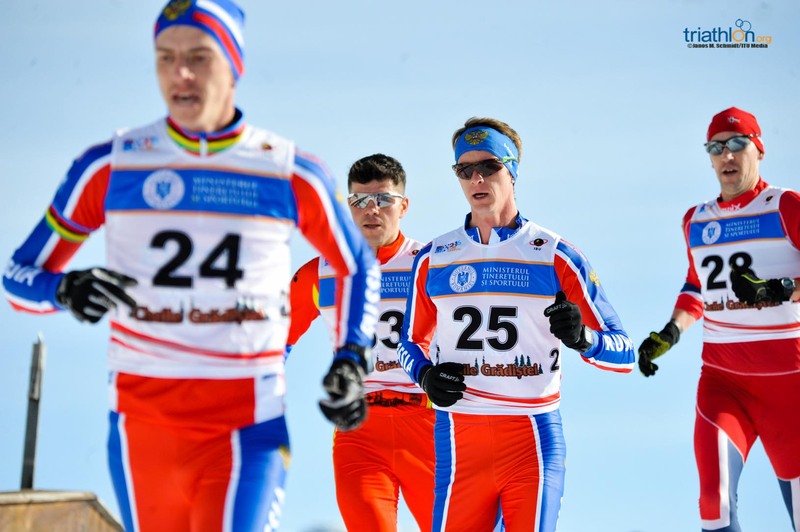 The new Winter Triathlon Junior World Champion is also Russian, Kirill Drozdov, while the silver medal was for the Italian Davide Ingrilli and the bronze for Aleksandr Vasilev. 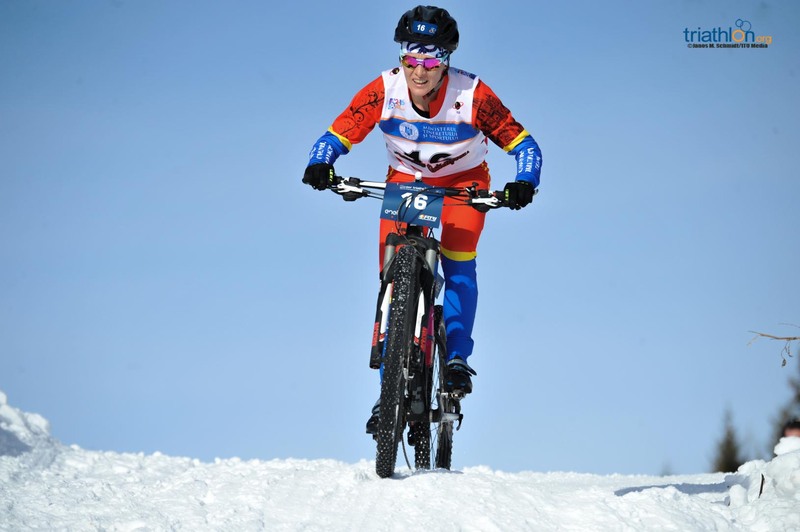 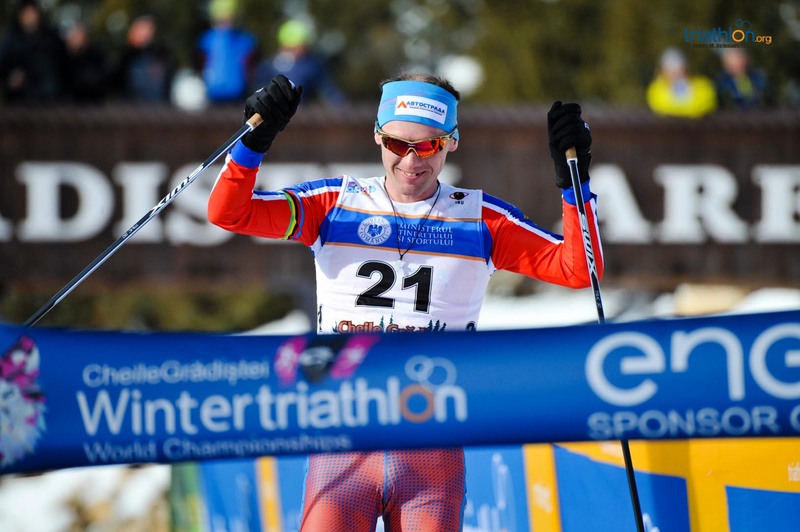 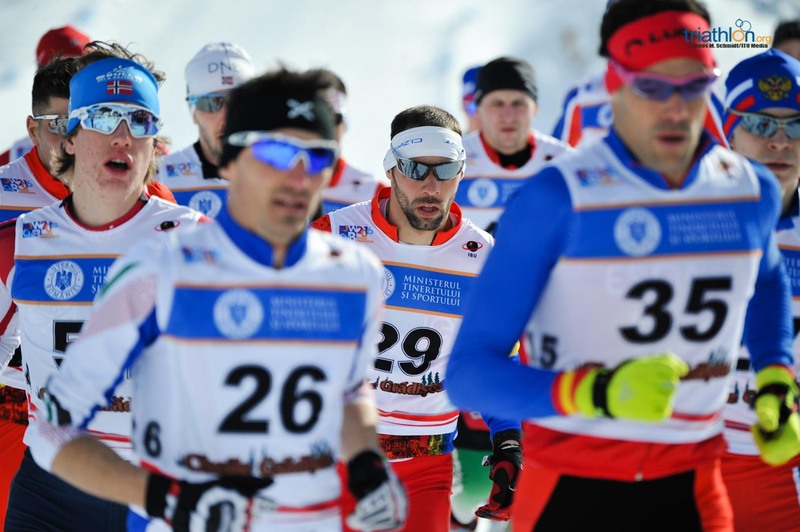 Five paraathletes competed in Cheile Gradistei Winter Triathlon World Championships, with another Russian, Vladimir Solodovnikov, claiming the title in the PTS2 category. 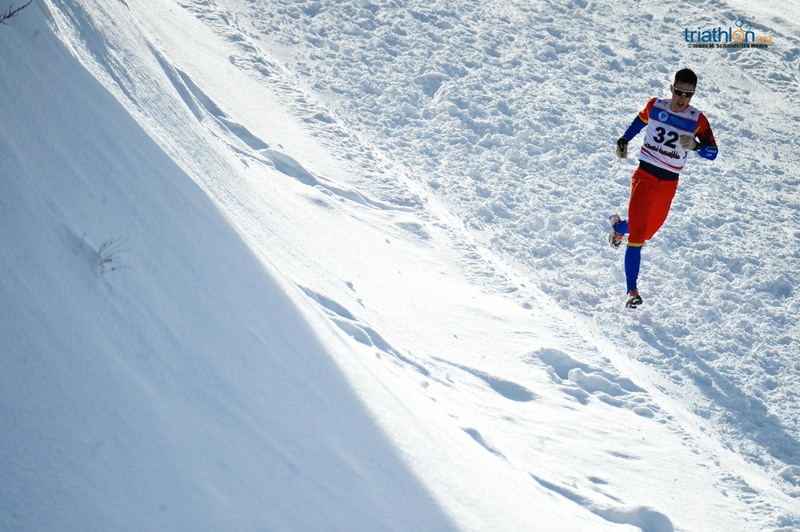 In the PTS4, victory was for a local athlete, Robert Tamirjan, while the Dutch Rob Noordzij claimed silver at 59 years of age. 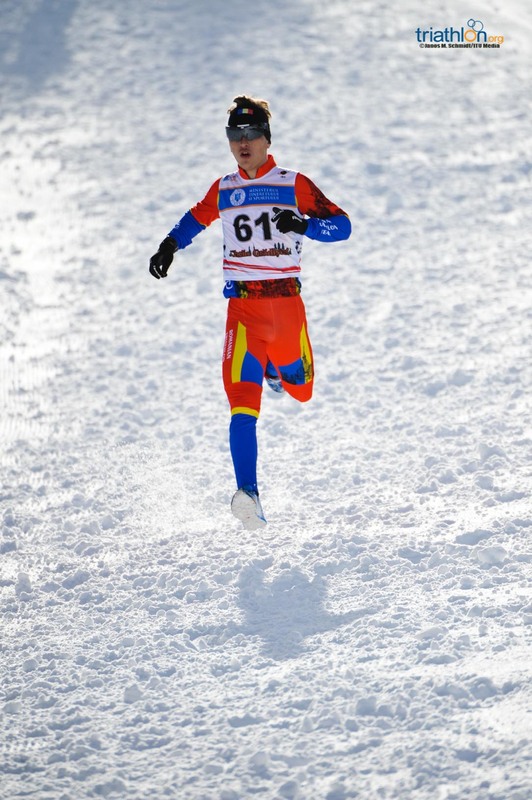 In the PTS5 category, the world title was for Spaniard Rafael Solis Torres.